Newly-released court documents filed by the RCMP to obtain information about Wallin’s travels and whereabouts on certain dates show that the Mounties were investigating 150 travel expense claims submitted by the former Conservative senator. Investigators allege in 25 of those cases, which Wallin qualified as “Senate businesses,” she was in fact attending meetings or dinners related to her position as a member of the board of directors for Porter Airlines and Gluskin Sheff & Associates Inc., and was not on Senate business. “Senator Wallin used public funds to travel to Toronto in order to pursue these private and business interests,” one of the documents alleges. That document questions a trip Wallin took to Toronto from Sept. 15 to Sept. 17, 2009, which her office stated in a spreadsheet given to Deloitte auditors was for a reception for Dignitas International, an HIV-AIDS charity. Dignitas’ records suggest she was not on the guest list. Meanwhile, an examination of copies of her Microsoft Outlook calendar showed an entry for “UNIVERISTY OF GUELPH – Chancellor’s dinner,” scheduled for Sept. 15, 2009, and a Gluskin board of director’s meeting scheduled at 8 a.m. on Sept. 17, 2009. The documents also show apparent discrepancies with Wallin’s calender items. One meeting that the spreadsheet said was with Peter Munk of Barrick Gold for a briefing on the state of his industry and to discuss Canada-U.S. relations could not have happened, according to Munk. He was in Switzerland. He says it is possible they spoke on the phone. Meanwhile, records from Wallin’s Microsoft Outlook calendar for that day referred to an “Eco Cardiogram 3rd floor, Peter Monk.” Toronto General hospital contains the Peter Munk Cardiac Centre. The RCMP also alleges someone in Wallin’s office altered her electronic calendar after the RCMP investigation began. The RCMP allege that Wallin “fraudulently sought reimbursement” from the Senate for expenses totalling $27,493 between September 2009 and September 2012. None of the allegations has been proven in court, and no charges have been laid. “When that error was discovered, that money was repaid to the Senate and that happened a very long time ago – more than 18 months ago,” O’Sullivan goes on to say. “Porter has supplied any and all information to RCMP requested as part of its investigation,” Cicero adds. Wallin has denied any wrongdoing, telling a radio station last year that she regrets paying back some $150,000 to the Senate despite her belief that most of her travel expenses were legitimate. 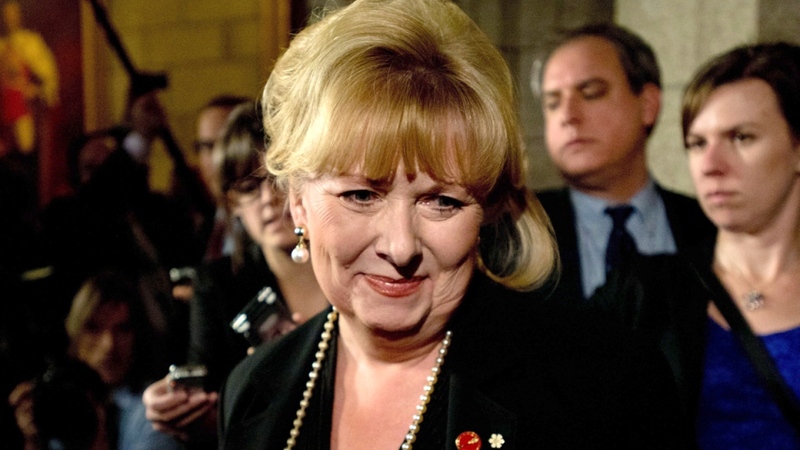 Wallin, along with fellow former Tories Patrick Brazeau and Mike Duffy, was suspended from the Senate in November 2013 over inappropriate expense claims. Liberal Mac Harb resigned from the Senate in August 2013 after repaying ineligible housing and travel expenses. Duffy faces 31 charges, including multiple counts of fraud and breach of trust. His trial will begin on April 7. Brazeau and Harb have also been charged with defrauding the Senate by making false or misleading expense claims. The documents released Monday include a 2013 letter from Wallin’s lawyer to the auditing firm Deloitte, explaining the reasons behind those calendar changes. 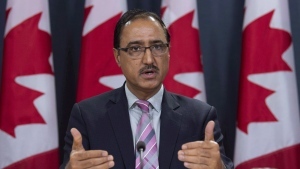 The federal government can't guarantee it will have a decision on the proposed Trans Mountain pipeline expansion prior to the next election, Natural Resources Minister Amarjeet Sohi said.